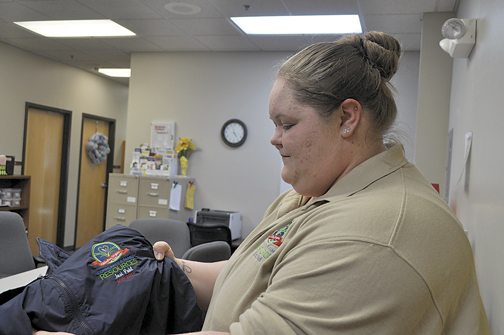 -Daily Freeman Journal photo by Peter Kaspari Josi Pahl looks at a personalized jacket that was given to her at Community and Family Resources' 50th anniversary open house. Pahl is a recovering drug addict who was treated by CFR. She now works for the organization. Josi Pahl was only 12 years old when she started using drugs. And at 17, she became addicted to methamphetamine. But thanks to Community and Family Resources, Pahl was able to get the help she needed to kick her addiction and is now using her experiences to educate others and help with their own treatment. Pahl, of Webster City, told her story at an open house Thursday celebrating CFR’s 50th anniversary. 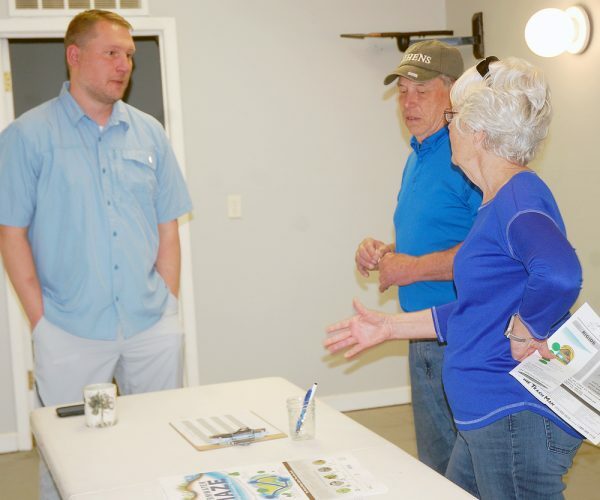 The open house was at CFR’s Webster City location, 500 Fair Meadow Drive. Speaking to a group of about 30 people, including CFR staff, board members, community members and others, Pahl talked about how meth completely changed her life for the worse. “When I found that drug, it completely sucked me in,” she said. Her life had always been what she described as “chaos,” and said she wasn’t surprised that she eventually became a drug user. After six months of using meth, Pahl realized she needed help, and reached out to a therapist. That therapist gave her CFR’s contact information. “When I called them, the only thing I could utter out to them was, ‘My name is Josi and I need help,'” she said. That phone called changed Pahl’s life. Pahl started treatment just two weeks after she graduated from high school. In fact, she said she would show up at treatment wearing a backpack that still had a tassel that said “13,” for the class of 2013, on it. She said that she loved going to treatment. 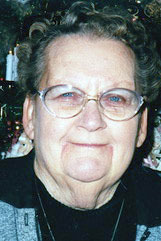 Pahl also grew to accept the help she was receiving. This Saturday, June 16, will mark five years of being clean for Pahl. Not only did it give Pahl the tools to stay clean and not use drugs, but it also reconnected her with her family. Pahl even recommended CFR to a relative for treatment. That relative has been clean for just over a year. And for the past two years, Pahl has worked at CFR out of Fort Dodge in the adolescent program. Michelle De La Riva, executive director of CFR, said substance abuse can affect anybody. Since starting out in 1968, De La Riva said CFR has expanded its services. It originally started out as a substance abuse treatment facility, but it has grown, especially over the past several years. They have also started mental health services and a gambling treatment program. CFR has offices in Boone, Calhoun, Hamilton, Humboldt, Pocahontas, Story, Webster and Wright counties, and also offers prevention programs in Franklin and Hardin counties. De La Riva said in fiscal year 2017 alone, CFR served 3,000 individuals across the state.